Love all things beer and chocolate? 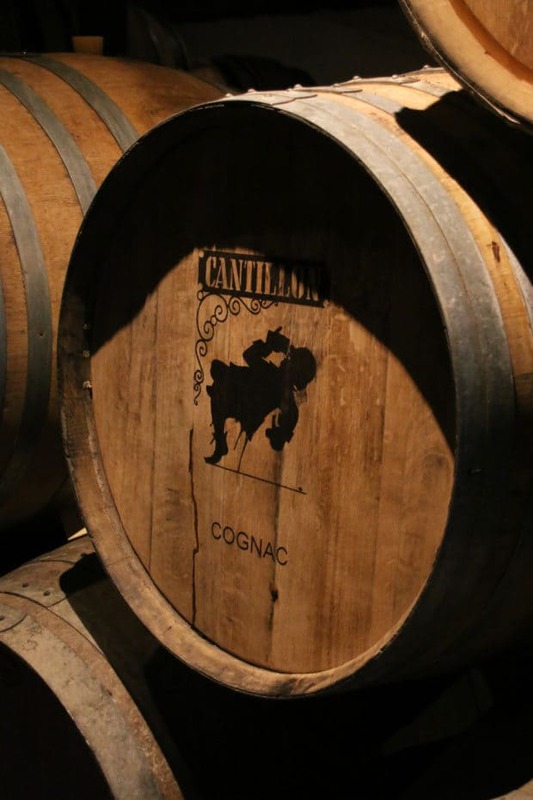 Pack your bags and head to Belgium! 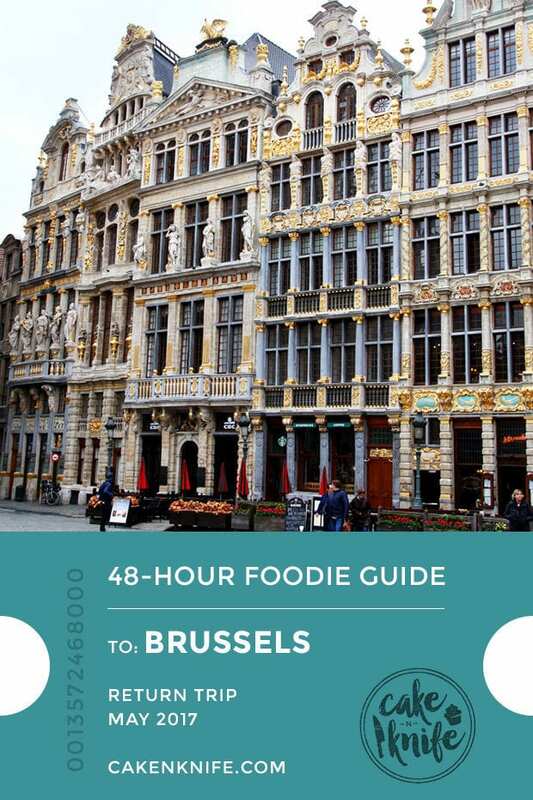 With my 48 Hour Foodie Guide: Brussels, you’ll find all the best places to sip, savor, and sightsee, even if you only have a couple of days in the city. 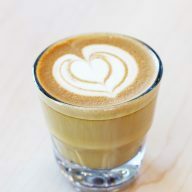 From my favorite chocolate shops to my favorite beer bars, my top picks to spend your time at and where to stay in the city, this guide is a food and beer lover’s dream come true! Disclosure: This post is sponsored by Hilton Brussels City. While I was compensated, as always, all opinions are my own. Thanks for supporting the brands that support Cake ‘n Knife! Traveling to Belgium this year, simply put, was a dream come true. As a self-proclaimed chocoholic and newly converted beer snob, spending a handful of days in the country of chocolate and beer was pure heaven. Even though I only had a couple of days in Brussels, the Man and I sure made the most of it by packing in all the sights (not to mention all of the food and drink we could stuff our faces with!). If I have to be honest – and you all know that I always am here, whether you like it or not – I would allocate the smaller portion of your time to Old Town. 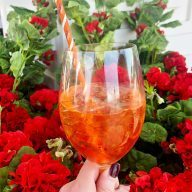 I have cited my favorite spots in Old Town in the round up of food, drinks and sights below, but you could easily get away with dedicating a late afternoon/evening to the entire thing. 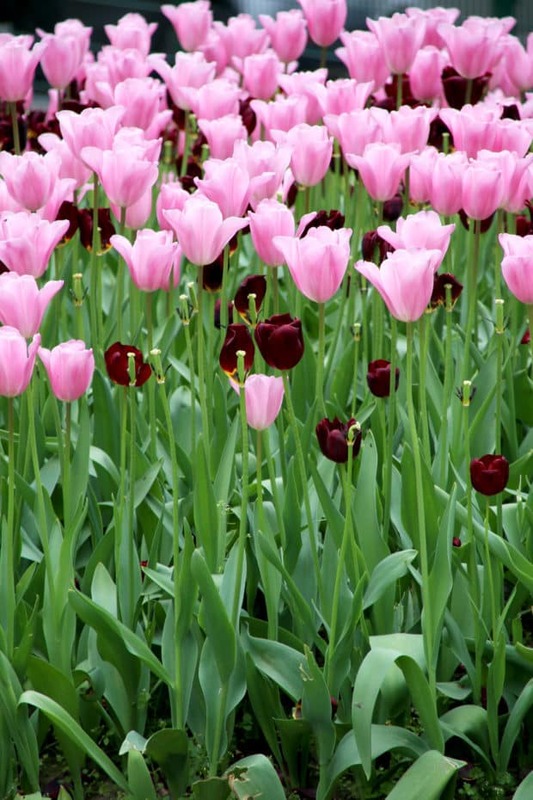 It’s the rest of the city that truly deserves some additional exploring, especially in the Sablon neighborhood and the surrounding upper town areas. All the details are below, but just be sure to really experience the city and its culture. Get out of those over-crowded touristy areas! Located in my favorite neighborhood in Brussels (The Sablon – more details below! ), this funky little place had my attention the moment I walked by it. 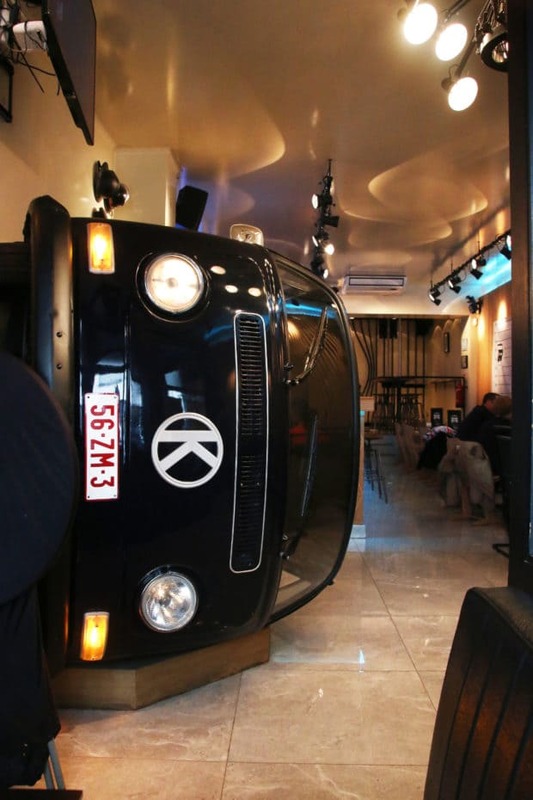 Then again, I suppose it’s hard for anyone to simply walk by when there is a VW bus sitting just inside the doorway. Grab a beer (that isn’t insanely overpriced) and saddle up to a table for some seriously good eats. 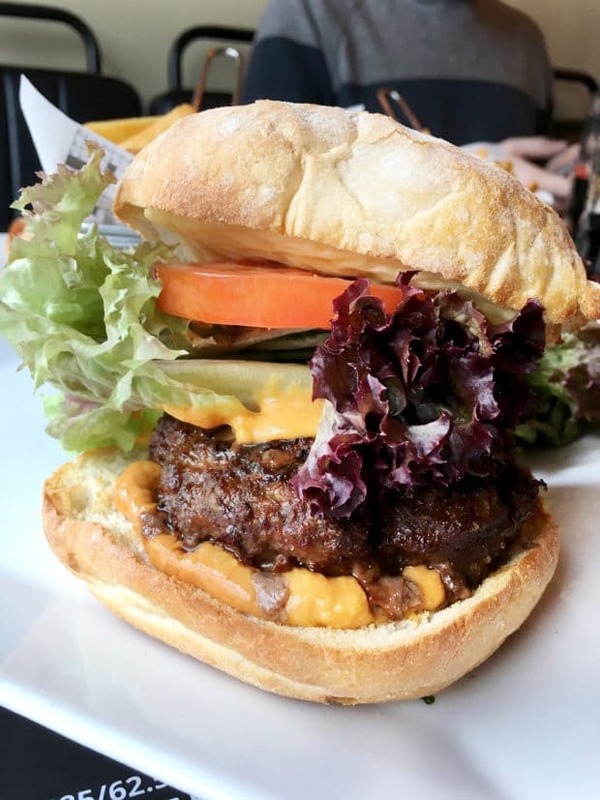 The burgers (so meaty and stacked high) and Croque Kombi (putting bolognese on a Croque Monsieur is a thing in Belgium and it’s BOMB) were just the right indulgence to fuel the intense walking the Man and I were doing every day. The price is right and it’s in such a fun, funky area! You may have heard me rave about Sushi Shop before on Instagram, and I’m going to do it again here. Also located in Sablon, close to Notre Dame, Sushi Shop churns out fresh, flavorful sushi that you can eat in or take out with you! We had a great time simply sitting in the tiny square outside the restaurant, with a bottle of wine from a convenience shop, a couple glasses and a handful of rolls. Looking for a delicious snack in the Sablon area? 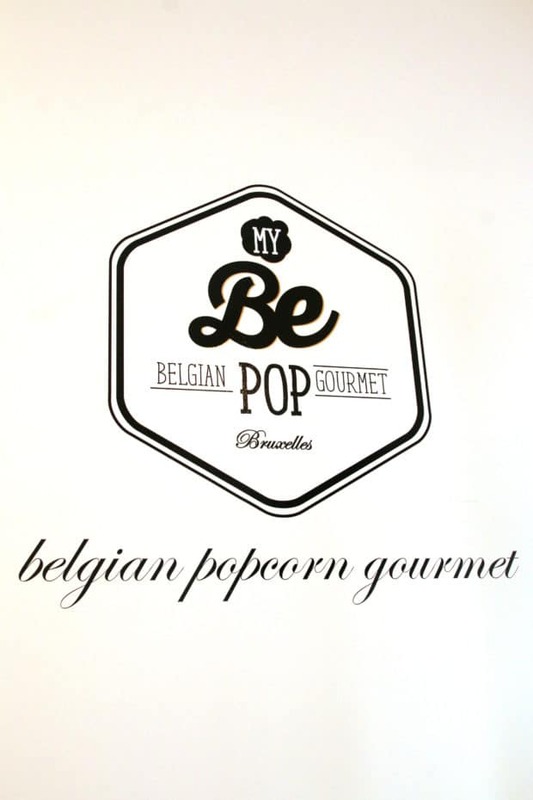 My Be Pop is the Belgian gourmet popcorn shop you CANNOT miss. The flavors are incredible, from spicy to sweet to savory. The quaint little shop is on the walk up a little side street to Sablon Notre Dame (basically straight out of a freaking movie). 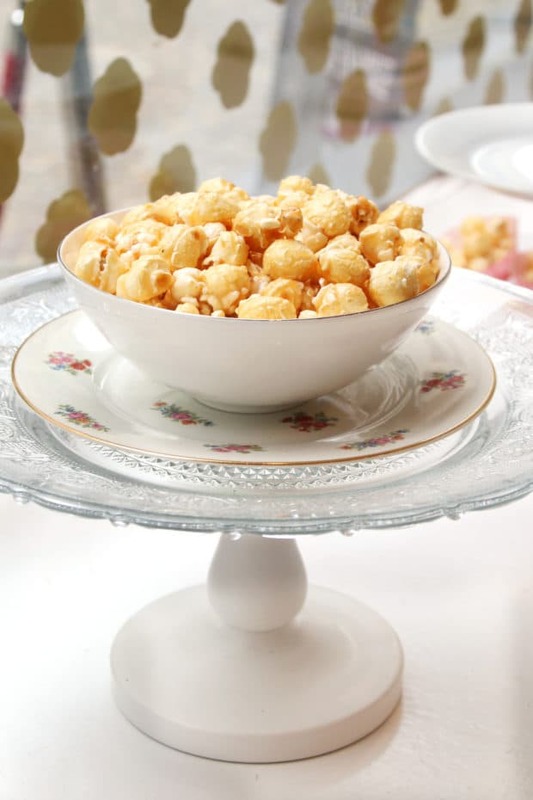 Grab the passionfruit popcorn and enjoy the neighborhood for all the old and new aspects it has to offer. Just try not to finish all the popcorn before you reach the top of the hill, or you’ll end up buying more on the walk down. True story. 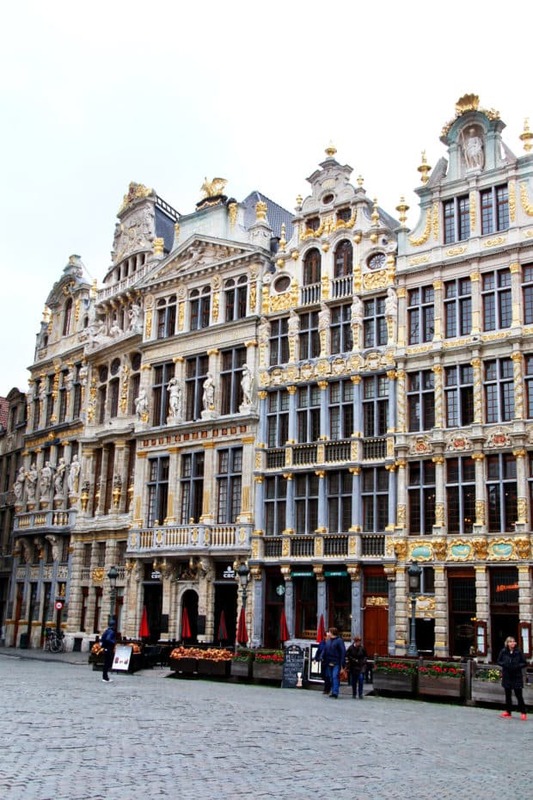 Finding a REALLY good restaurant around Grand Place is…. well, it’s a pain. The side streets of Grand Place are littered with sub par, overpriced food practically everywhere. Finding a delicious meal that isn’t insanely expensive is a little tough. If you venture just a couple blocks further from the massive hoards of people, you’ll find Nüetnigenough, a hole-in-the-wall restaurant with a very small amount of tables and delicious food. The beer list is fantastic, and the experts working there will find you just the right beer to go with your meal. 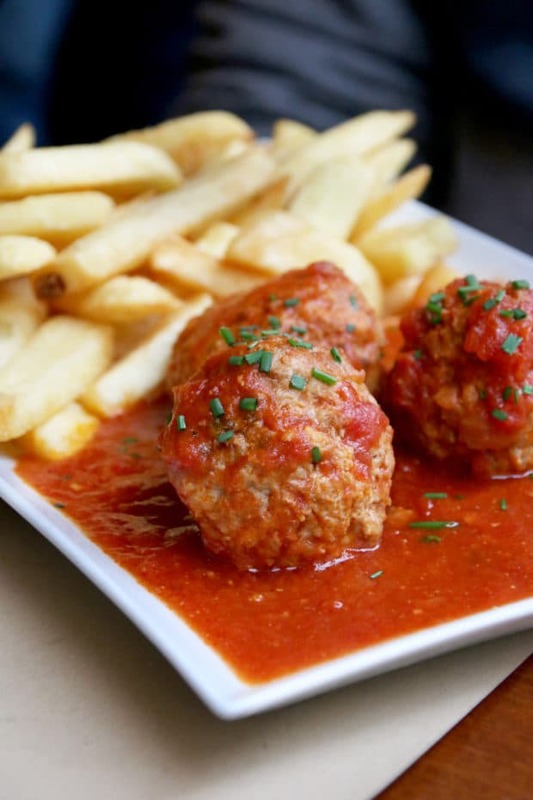 I recommend their Carbonnades a la Flamande (Flemish style beef stew) and their Boulettes de Veau a la Gantoise (veal meatballs that literally melt in your mouth). Just know they don’t take reservations, so get there early or be ready to wait with a beer out front! 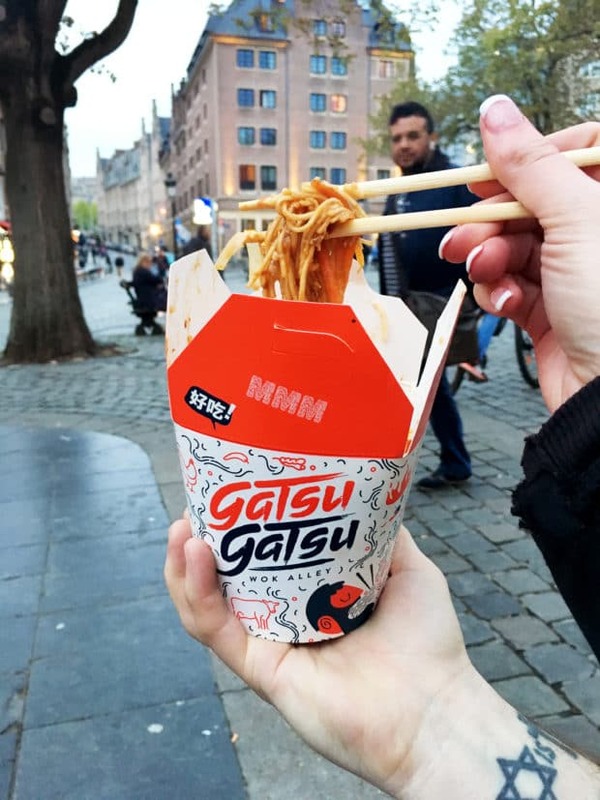 There are tons of quick eat spots close to Grand Sablon, but Gatsu Gatsu was a stand out favorite. This little noodle shop is a little wok alley right in the heart of the city. With an insane amount of flavors, you can customize your own wok full of your favorite ingredients. It was just the right spot for us to stop mid walk from site to site to grab lunch! It doesn’t matter too terribly much where you grab a street waffle from my experience. 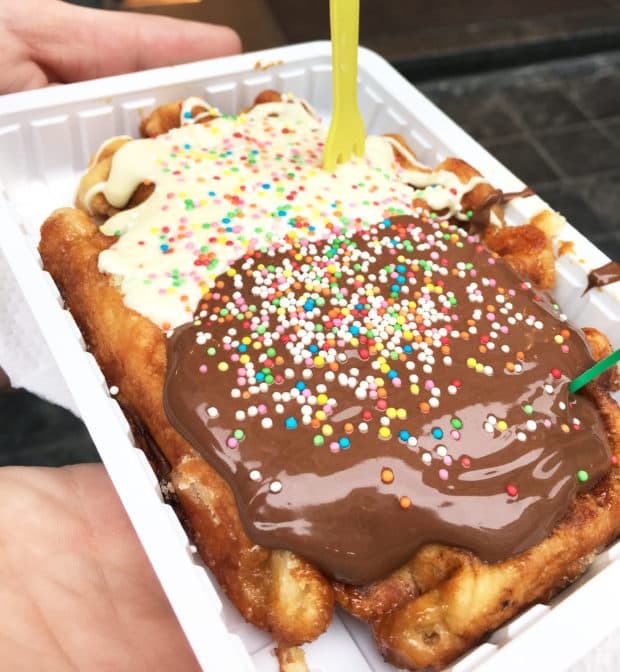 There are stands EVERYWHERE churning out waffle after waffle, topped with whatever sweet and fruity treats they have on hand. Nutella and white chocolate with sprinkles was the BEST combo I had. The little shop by Mannekin Pis was actually a really good one – and a good way to avoid the hoard just outside snapping millions of photos of the tiny peeing boy statue… No seriously, it’s a big deal in Brussels for tourists to see this statue and it’s completely underwhelming… See more details on that nonsense below. My favorite fries came from a chain in Brussels. They are peppered all over the city and the fries come out piping hot with your favorite sauce. Samurai sauce was my favorite (and I even made it at home in this sandwich) with the sambal and mayonnaise base. The curry ketchup was also a clear winner with just the right hint of curry flavor. 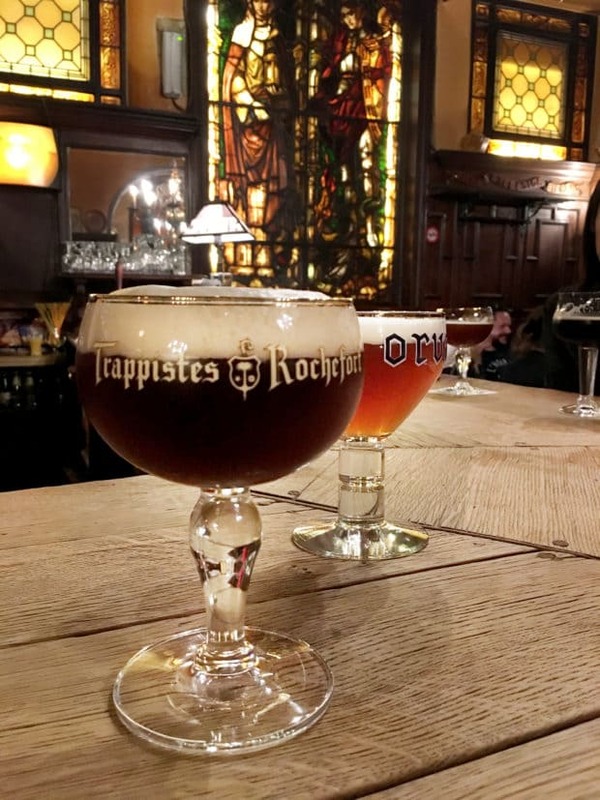 When you come to Belgium, I hope you indulge in as much Belgian beer as you can. That certainly was my goal when I rolled in on the country. I switched my usual craft cocktail routine and stuck solely to beer every day we were there. 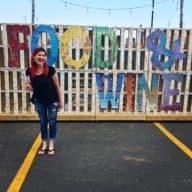 These are my favorite places to get amazing beer and have a truly memorable experience in the city. 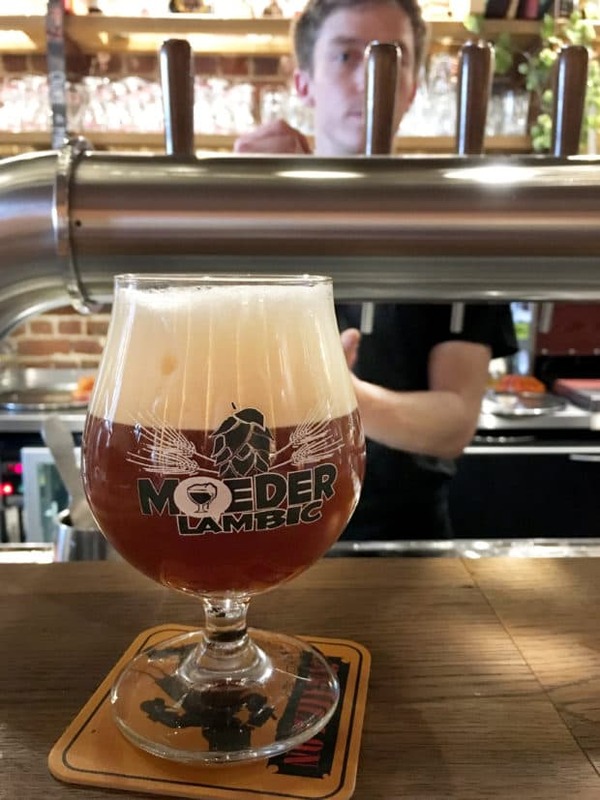 If you are done with the old city center and ready to get into some newer digs with a ridiculous beer list, Moeder Lambic is the place to go. 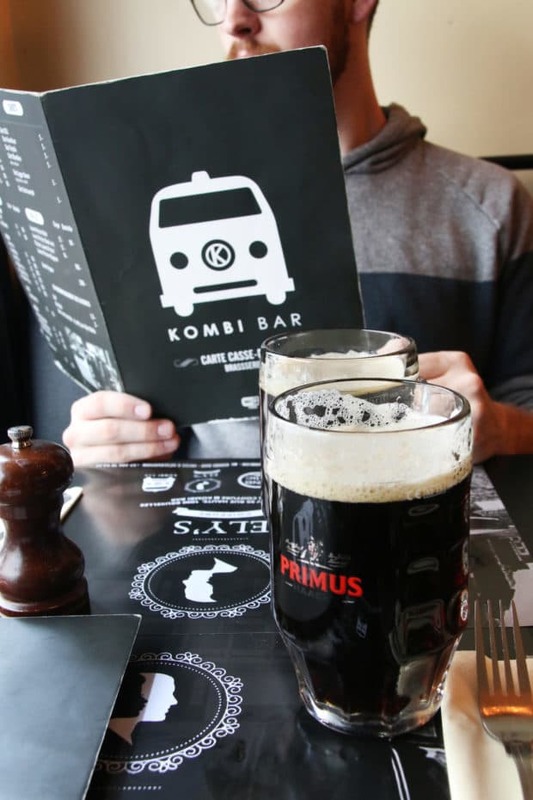 There is a wide array of beers, particularly local beers from Brussels, and you’ll feel just like a local. We went in for one beer and ended up staying two more rounds, including an incredible Gueze that has my mouth watering just thinking about it. 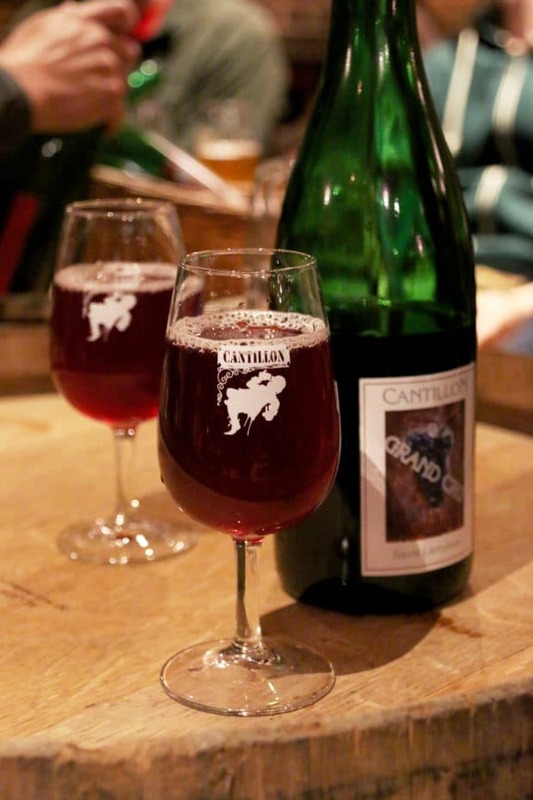 As the Man put it, Brasserie Cantillion is like Mecca for beer lovers, especially if you want to experience Belgian beer that you can’t easily get back home. The beers are all more on the sour side, so they might not be for everyone. However, sour beers are my JAM so visiting is a must in my book. Just make sure you eat before you go because there’s no food and the surrounding neighborhood isn’t exactly a place you’d have any luck finding something good. NOTE: the bars are cash only so be prepared! If you don’t have cash, the ladies at the swag shop will help you out. The chic bar in the hotel lobby of the Hilton Brussels City (see more info on the hotel itself below!) is lovely spot to start an evening out, or cap off a night of beer tasting adventures. 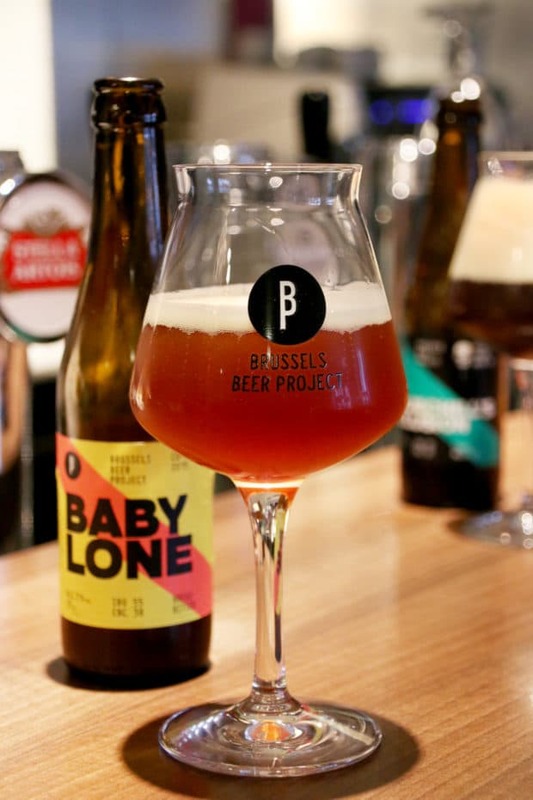 They have a great beer list available, featuring a new favorite brewery of mine – Brussels Beer Project. I honestly was surprised by the variety of beer, wine and cocktails as the lobby bars I’ve been to traditionally are not the most exciting. It’s the ideal spot to have a nightcap before you wander up to your room for some well-earned sleep. One of my favorite sights was one that we happened to stumble upon as we climbed the hill toward the Sablon. 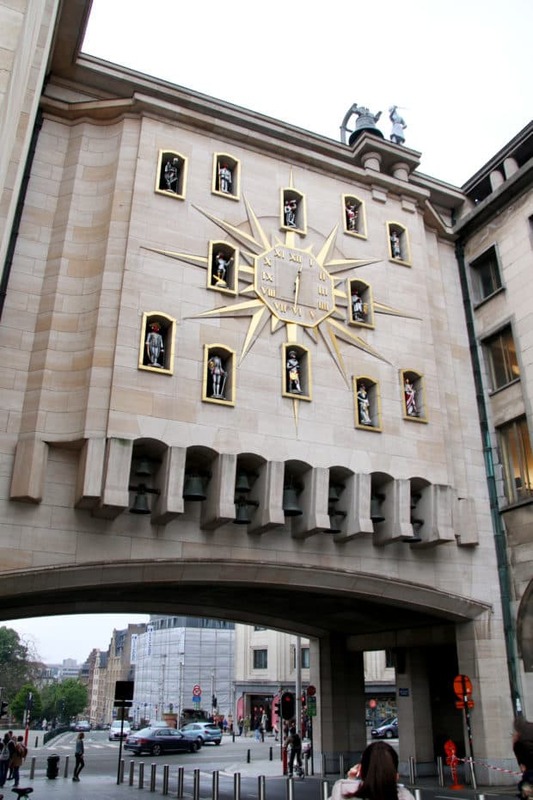 Le Carrillon du Mont des Arts is a Jacquemart Carrillon clock with 24 bells and 12 figurines that come to life at the top of each hour. Just know that the clock is kind of hidden in between two buildings… I highly recommend visiting at noon! 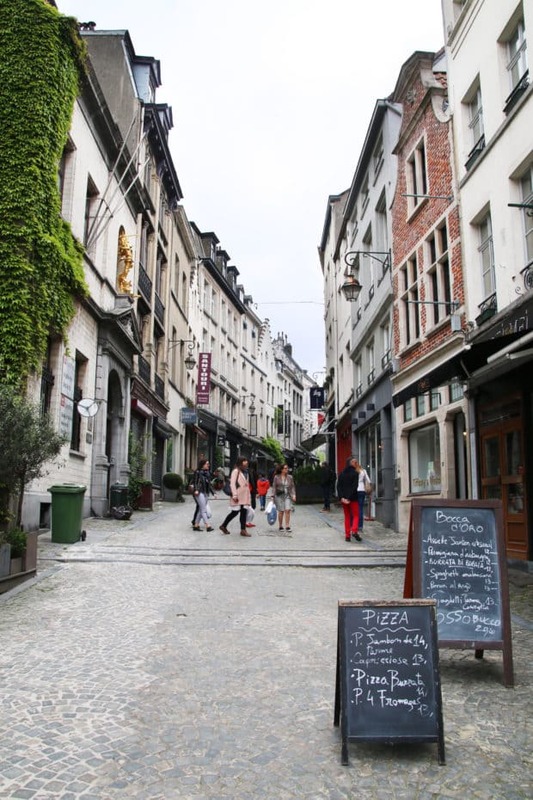 Located in upper town, the Sablon neighborhood is a historic area peppered with new shops and restaurants. It’s a picturesque area that we loved exploring because it’s the perfect combination of old and funky/fun. I mean seriously, you couldn’t make this gorgeousness up… it’s like a movie! One of our favorite stops was the Belgian Comic Strip Center! 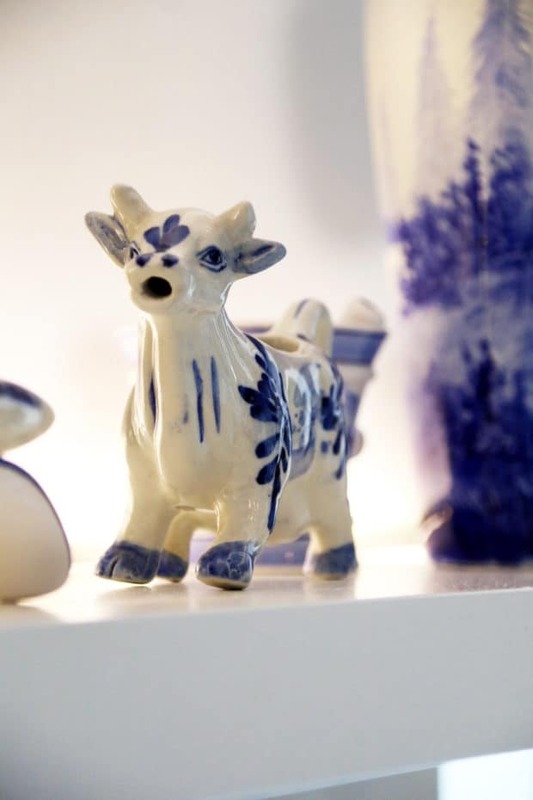 Filled with original works and the history of comics like The Smurfs and Tintin, this museum is perfect for all ages. 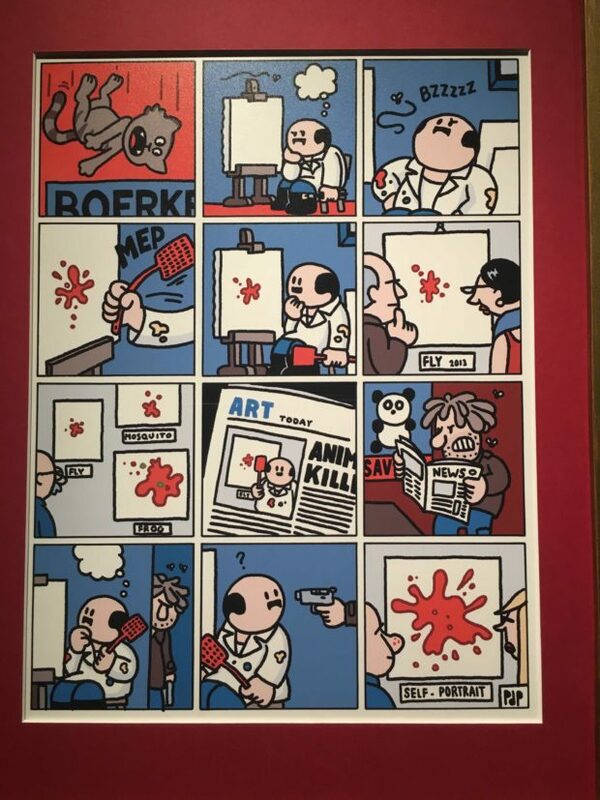 Seriously, specifically for the adults, be sure not to miss Dickie and the hilarious (and often edgy/racy – see image below) comic strips on the walls of the tiny screening room on the main floor of the museum. We spent hours here and could have spent many more. You can’t miss Grand-Place when you come to Brussels, obviously. As the central square of old town, you can marvel at gold-trimmed buildings and intricate details at every turn. 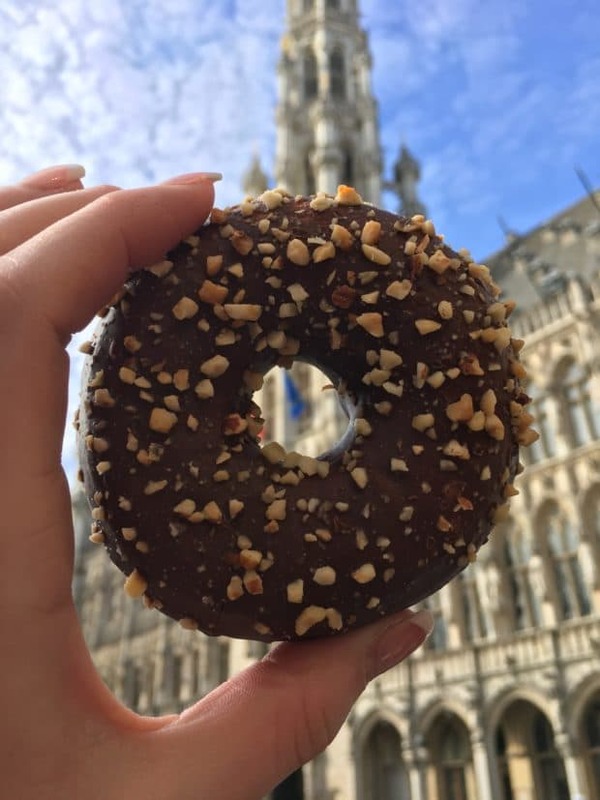 You can see how much the square drips with wealth and opulent decoration… Grab a coffee and a doughnut early in the morning, take it all in, and get out before the endless mobs of tourists pour into the square! 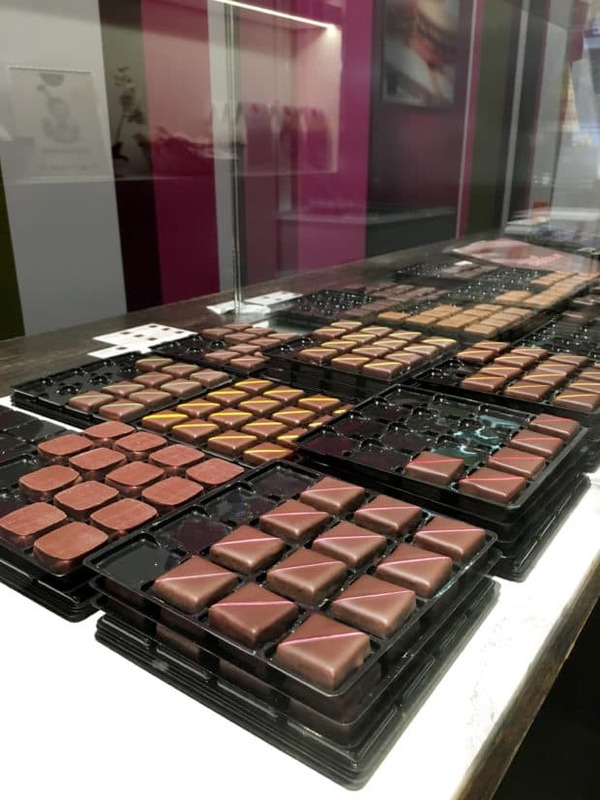 Then stroll down any surrounding streets for some of the best Belgian chocolate you will ever sample (Leonidas in particular for truffles and bars, Galler Chocolatier for more truffles). Mannekin Pis is a big thing in Brussels. The little statue of a naked boy peeing is an odd thing for tourists to gravitate to so strongly, but boy oh boy do they ever. 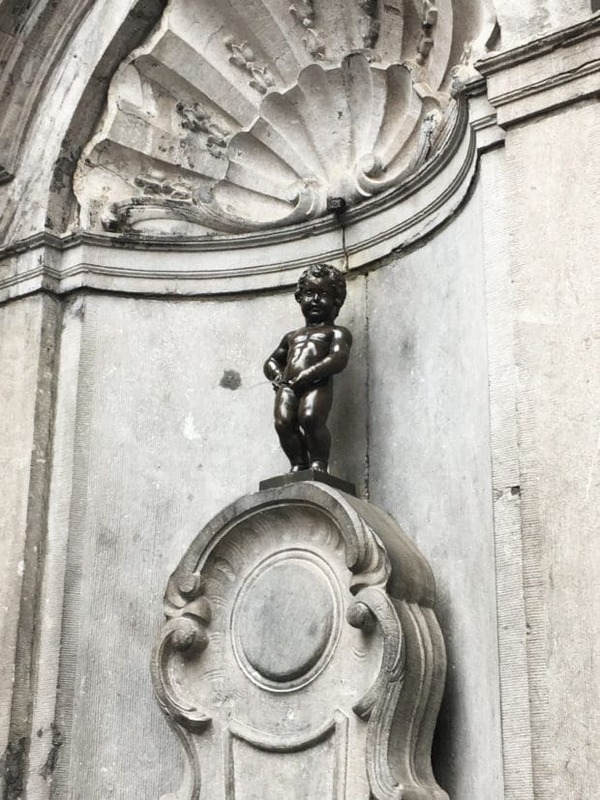 Honestly, seeing it was a 10-second stop for us, filled with a couple quick snaps and moving on… There is also a Jeanneke Pis, the boy’s female counterpoint, somewhere in the city. 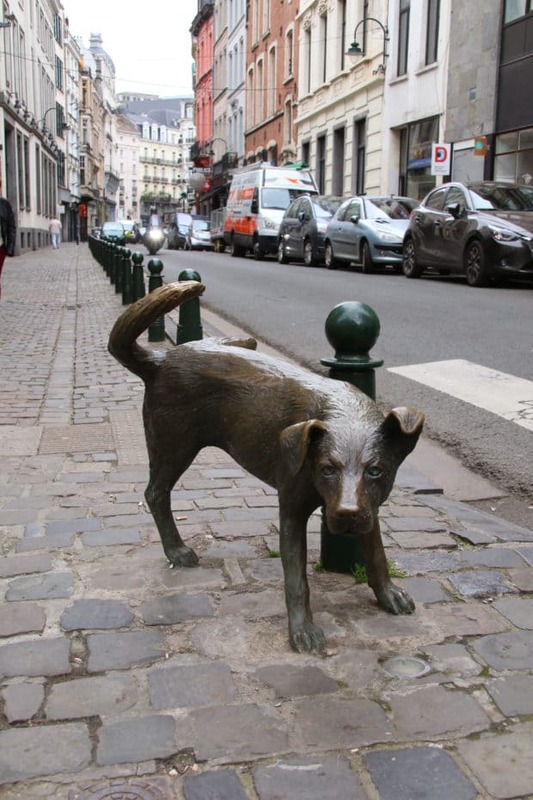 The only peeing statue we really enjoyed strolling by was Zannekin Pis, the peeing dog. On a random street, away from all the tourists, you’ll find Zannekin Pis along with street art and a quaint quiet neighborhood. Yes, I realize it is a weird thing to have three peeing statues in a city, but since it’s a real thing, visit the one without all the tourists. 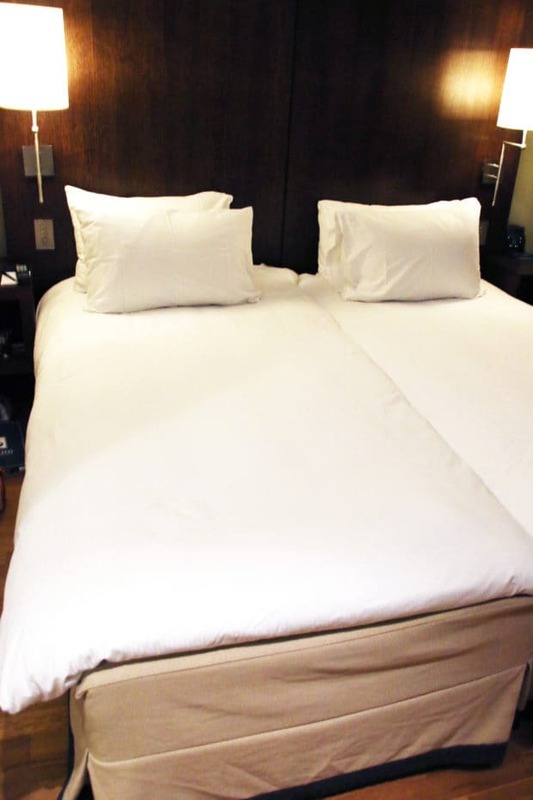 When I come to a new city and am trying to make the most of it, picking the right hotel is a big deal. I always look for central location, fair pricing, close proximity to transportation, and free Wifi (extremely important when you aren’t using data on an international phone plan!). Hilton Brussels City has all of these things! 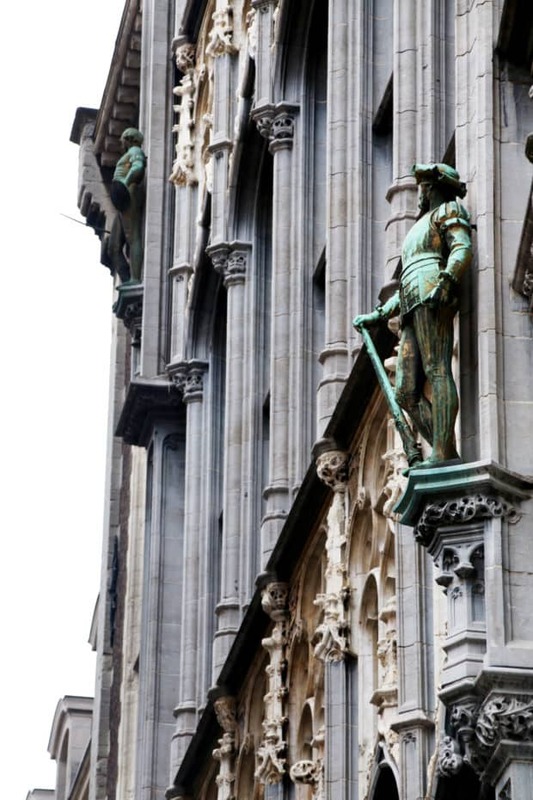 The hotel is located in downtown, right by Rue Neuve shopping district, and a short walk to old town and the Belgian Comic Strip Center. You can easily walk anywhere in the city to see the sights (or any of the places to eat and drink I listed above)! Once inside the hotel, you’ll find every amenity you need from Wifi to a delightful hotel lobby bar, comfortable beds and great water pressure (honestly can be tough to find in European hotels!). The front desk staff were all extremely helpful from giving me walking directions to restaurant recommendations and even some tips on where to buy the best beer without getting ripped off (there are some insanely overpriced spots close to Grand-Place so be wary!). 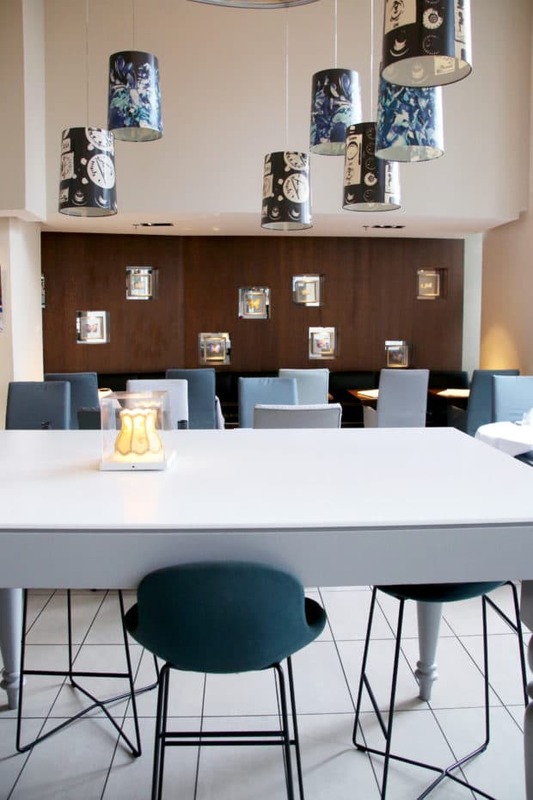 Overall Hilton Brussels City is a lovely spot to have as your home base while you stay in Brussels. From a hearty breakfast to a killer beer at the end of a long day of walking, you’ll be grateful for the nice digs, comfortable bed and friendly staff! Welp, I’m ready to pack my bag and catch a plane! Brussels sounds like SO MUCH FUN, and seriously, I don’t know which food I’d like to try first. Honestly, those street waffles might be my first to try, but I want it all. What a lovely trip, filled with great food (and drinks!) and sights! 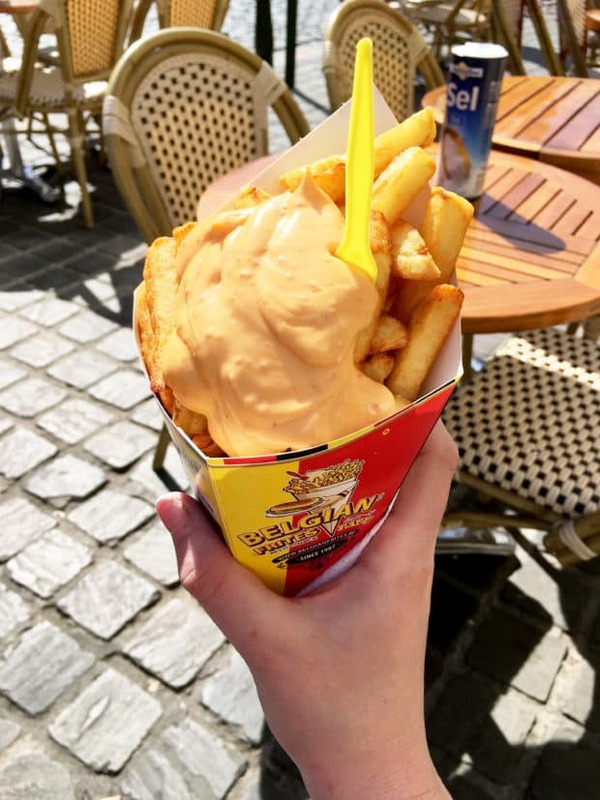 Honestly, I’ve never really had Brussels on my bucket list, but after reading this post, I totally want to go like, yesterday! The spots you pointed out look heavenly, from all the beer and ALL THE FOOD to your hotel choice. Finding a hotel is always the toughest part when you plan a trip, so I’m so glad to have this recommendation for the future. 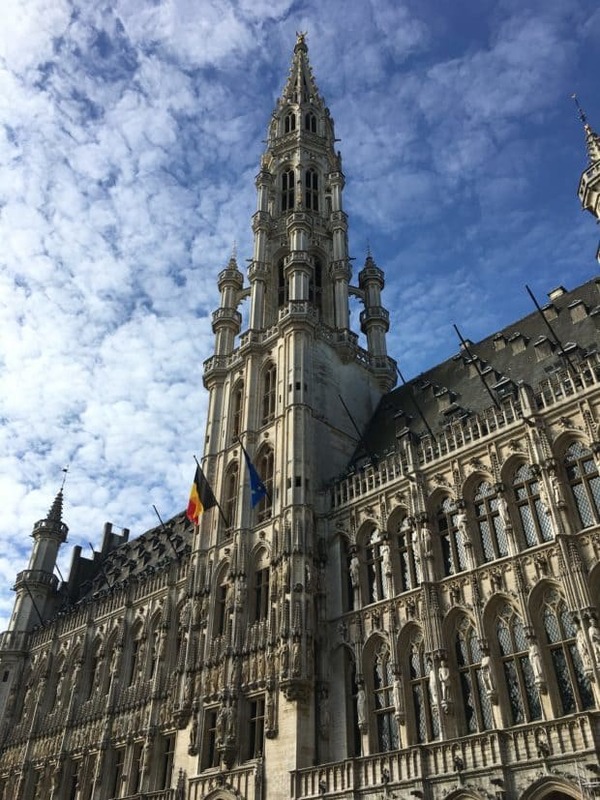 Love all these tips for when we finally make our way to Brussels! Especially the beer. Thanks for sharing!